Dr. Farah Deiba Matroud has graduated from Teshreen University, Syria as General Dental Practioner and she got her master degree MDS in periodontology. She has more than seven years of experience and has worked in both Syria and UAE. 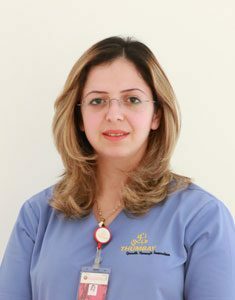 She is an expert in general dentistry, gum surgeries and cosmetic treatment.